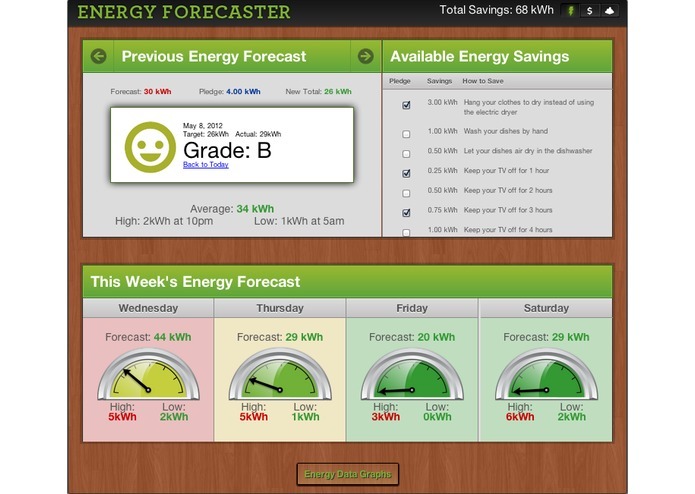 Overview: The ENERGY FORECASTER provides a 5-day energy forecast enabling you to make proactive decisions about your energy consumption and provides feedback based on your choices. How it works: The ENERGY FORECASTER uses Green Button data in conjunction with detailed weather data to train an artificial neural network to make predictions about your future energy consumption. 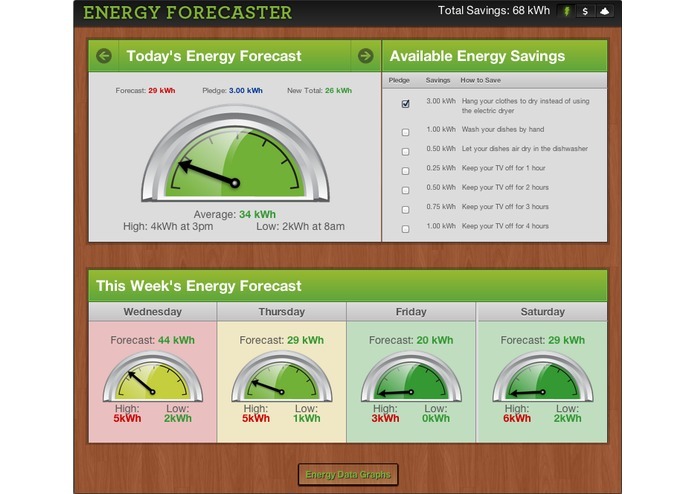 Based on patterns derived form historical energy (Green Button) and weather data, the ENERGY FORECASTER will provide a 5-day energy forecast detailing total daily consumption (kWh) as well as the predicted high and low hours for usage (kWh). User Interaction: With an energy forecast, you’re better able to make proactive decisions about when and how to consume energy. The ENERGY FORECASTER also provides suggestions to reduce total consumption. 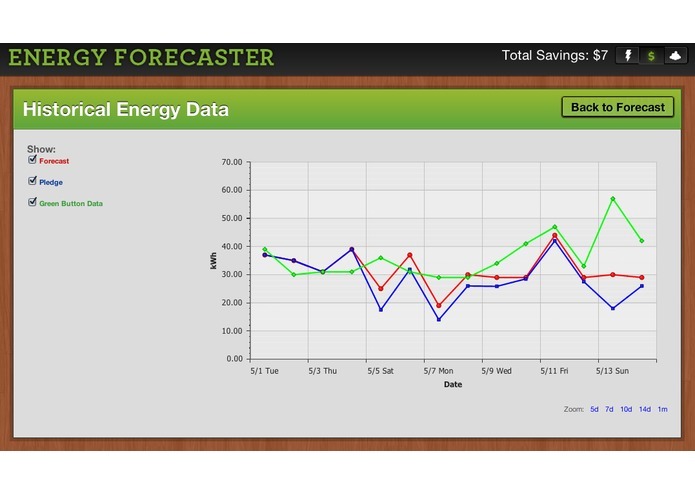 Based on your average consumption, the ENERGY FORECASTER provides intuitive views of predicted use; green means significantly less than average, red is significantly more, etc…. Additionally, you may pledge to reduce consumption and receive a grade based on how well you deliver on that promise. Finally, simple graphs toggle displays of your Green Button data, your forecast and calculated values based on pledged savings.